The Pittsburgh Penguins have traded centre Derick Brassard, winger Riley Sheahan, a 2019 second-round draft pick and two 2019 fourth-round draft picks, one originally owned by the Minnesota Wild, to the Florida Panthers in exchange for centre Nick Bjugstad and centre Jared McCann. Bjugstad, 26, registered five goals and 12 assists for 17 points in 32 games with the Panthers this season. 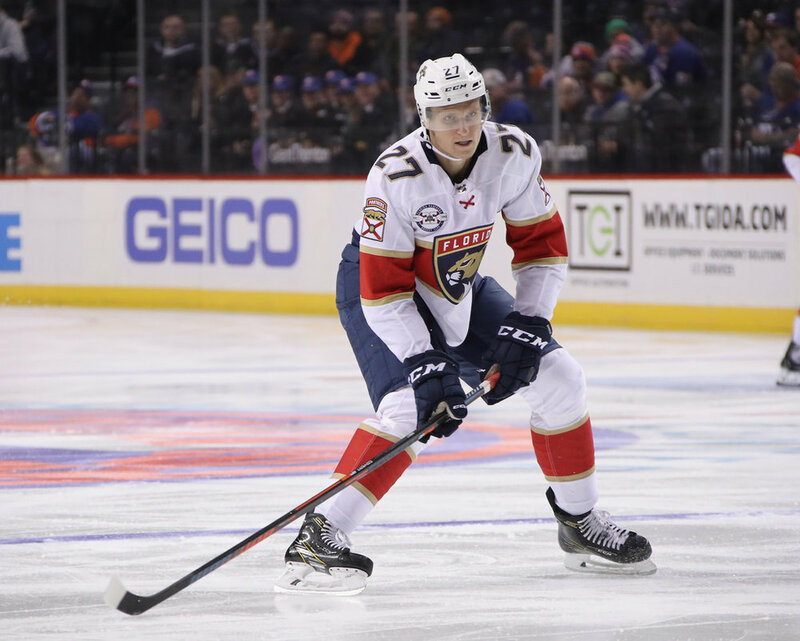 A native of Minneapolis, Minnesota, Bjugstad enjoyed his best season with the Panthers in 2014-15, scoring a career-high 24 goals and totaling 43 points in 72 games. In 394 career games, Bjugstad has tallied 87 goals, 104 assists and 191 points. He was originally drafted 19th overall by Florida in the 2010 NHL Draft. McCann, 22, has eight goals and 10 assists for 18 points in 46 games this year. The native of Stratford, Ontario has played in 212 career NHL games with the Panthers and Vancouver Canucks, totaling 27 goals and 71 points. He was originally chosen 24th overall by the Canucks in the 2014 NHL Draft. Brassard, 31, has appeared in 40 games with Pittsburgh, recording nine goals and six assists for 15 points. The native of Hull, Quebec, has accumulated 171 goals and 272 assists for 443 points over 756 career regular season NHL games, to date, with Pittsburgh, the Ottawa Senators, New York Rangers, and Columbus Blue Jackets. He was originally selected by Columbus in the first round (sixth overall) of the 2006 NHL Draft. Sheahan, 27, has appeared in 49 games with Pittsburgh, recording seven goals and two assists for nine points. The native of St. Catharines, Ontario, has posted 56 goals and 83 assists for 139 points over 414 career regular season NHL games for Pittsburgh and the Detroit Red Wings. He was originally selected by Detroit in the first round (21st overall) of the 2010 NHL Draft.